Applicants for the M.Div. program must have a Bachelor’s degree or its equivalent from an accredited college or university and 24 credits in 8 pre-requisite philosophy courses as given in the Theology program requirements as described in the academic catalog. 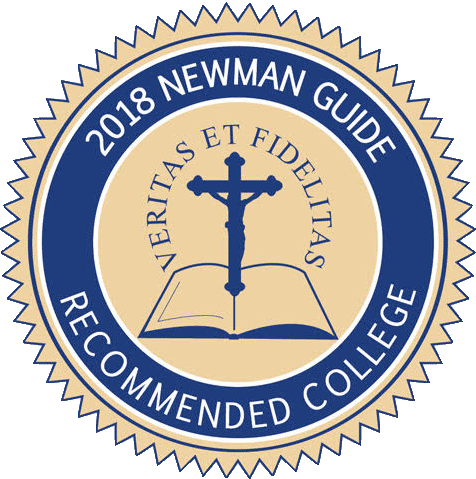 In cases where an applicant has been a seminarian in another accredited theologate, 60 graduate credits with at least a “C” grade may be transferred toward the M.Div. degree. Once the application and all supporting documentation have been received and evaluated, candidates will be invited to visit Holy Apostles for individual interviews with the Rector and members of the Admissions Committee. The applicant will also meet with the Academic Dean who will evaluate his academic record and preparation, and with the Financial Aid Officer, if necessary, to determine how to finance his education if accepted. A recommendation on each applicant is made by the Admissions Committee to the Rector, who informs the candidate in writing of his decision. Most seminarians are sponsored by a Diocese, Religious Community or Society of Apostolic Life at the time of application. However, if a qualified applicant is discerning a call to the priesthood but has not yet made a commitment to sponsorship, he may enter the seminary at the undergraduate or pre-theology level. He must obtain sponsorship before entering First Year Theology. Vocation directors who visit the seminary are often eager to interview unsponsored college or pre-theology seminarians. Some students who apply at a later age and do not have a Bachelor’s degree may, with the permission of their diocese or religious society, earn a Certificate of Preparation for Ordination for the Priesthood upon the satisfactory completion of four years of theology. All requirements for those in the certificate program are the same as those in the M.Div. program, including the philosophy pre-requisites. Candidates for the M.Div. degree must achieve and maintain a minimum cumulative grade point average of 2.0.